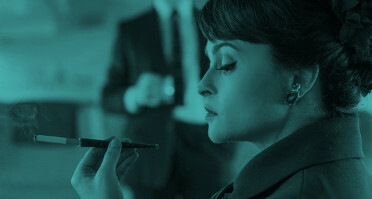 Welcome to Helena Online, a non-profit fansite for actress Helena Bonham Carter. Bringing you all the latest news and a comprehensive guide to Helena's career. A Netflix original following the political rivalries and romance of Queen Elizabeth II's reign, and the events that shaped the second half of the 20th century. Please note that the above Instagram account is not affiliated with Helena Bonham Carter, who does not have an official public Instagram account. Helena Online is an unofficial, non-profit fansite run by dedicated fans, for fellow fans. We are in no way affiliated with Helena, her family, or her representatives, nor do we have any contact with the aforementioned. We are unable to forward any correspondence to Helena Bonham Carter or her representatives. Helena Online is hosted by Flaunt Network. You can view their DMCA here. Advertisements that may appear throughout this site are a requirement of our hosting provider and do not generate any income for Helena Online. All original graphics and content belong to Helena Online. We do not claim to own any of the images included on this website unless otherwise explicitly stated. Any images uploaded to this site are for non-commercial purposes. All images and content belong to their rightful owners and no copyright infringement is intended.